Advertise your products or services on one of the most popular marine websites and reach your target audience as direct as it can get. Our website provides an extremely targeted and effective method of brand building in the Australian market. Our in house specialists can design an effective advertisement for your business at extremely competitive rates. Alternatively we will run your copy (artwork to be supplied in jpeg, png or animated gif format, 170 x 275 pixels). Boost allows you to promote your Business to qualified prospects on Social Media and other Popular Websites. 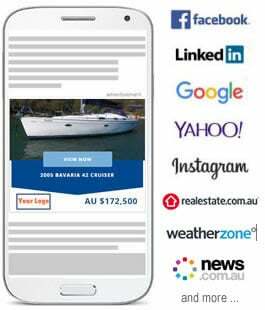 After potential buyers have viewed specific listings or pages, anytime in the last 90 days, on either Boatsonline or YachtHub, they are re-targeted and see your Business advertisements within Facebook, Instagram and other publishers including news and entertainment websites. Reports containing campaign statistics are emailed weekly allowing you to monitor every aspect of your promotion. This is the most cost effective way to reach your target market. 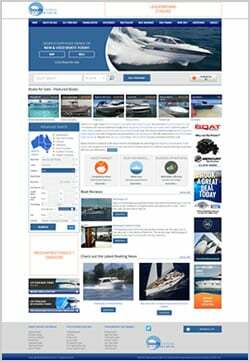 Call (08) 6262 3929 or email admin@boatsonline.com.au.